Our first online issue of the Fountain Newsletter! 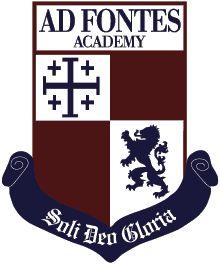 Welcome to The Fountain , Ad Fontes Academy's first online newsletter! Here we hope to provide content that gives you, our friends and family, a deeper connection not only to the mission of AFA, but also to the people that make up this great community! This month's newsletter is focused on providing an update about the many ways you have supported AFA and its continued growth throughout the 2017-18 school year! We are so grateful for the multiple gifts we have received from you that enrich our school and help us fulfill our educational mission! We have received donations to this year's Annual Fund of over $237,000 --more than our original goal--and every penny will be used to benefit you and our current and future students! This year our growing Annual Fund has enabled AFA to invest in our teachers, provide financial assistance to our families, and assist us in acquiring land for our future campus (see Campus Search Update below). Tuition covers 94% of our costs; a healthy annual fund covers that final 6%! We sincerely thank you for helping us grow deeper roots! Donations to AFA's Annual Fund are still welcome and will benefit this fiscal year which ends June 30th. This year's Read-a-thon raised over $16,400 from 270 gifts! Thank you to all the racing readers and their encouraging sponsors in this annual fundraiser! The grand total raised from cutting box tops for the 2017-18 school year amounted to $485 ! Thank you to both Upper School Houses and Lower School classes for participating! Thank you to the 51 participants who linked their grocery shopping at Giant to benefit AFA. Giant Food A+ School Rewards totaled $654! Likewise, AFA received $236 from 16 shoppers through Harris Teeter's Together in Education! 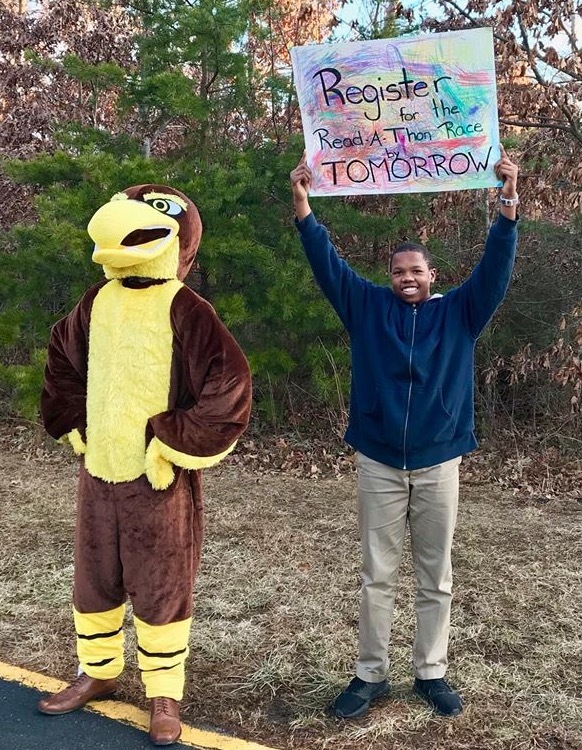 Special thanks to Jaiden Powell, AJ Mathwin, Jayden Hendrick, and Keris Mathwin for "assisting" the Falcon in cheering on our Lower School readers throughout their 10-day race! 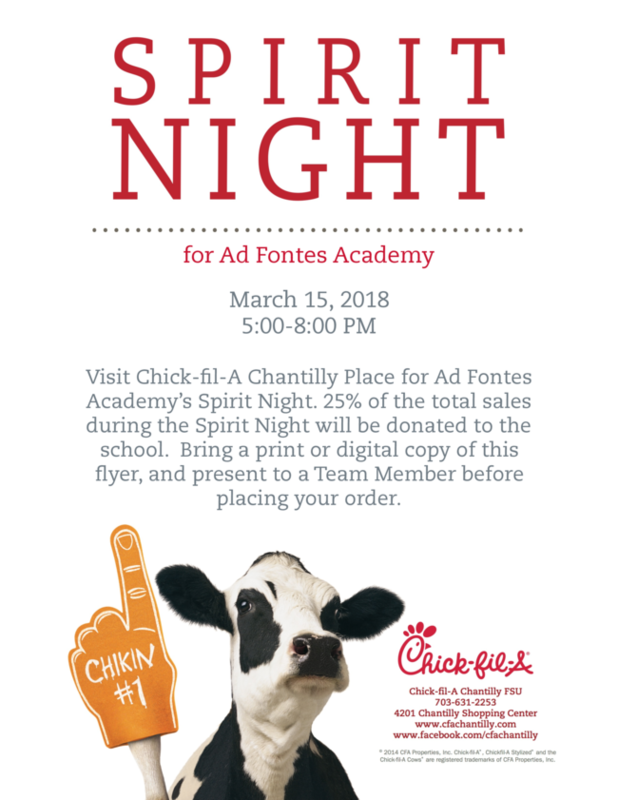 Thank you for a great show of school spirit at our Annual Spirit Night; Chick-fil-A in Chantilly enjoyed a packed house! In addition to enjoying a great evening of fun, food and fellowship, $456 was raised to grow our Annual Fund! Whether you cut box tops, shopped through AmazonSmile , supported a reader, attended Spirit Night, wrote a check, or did all of the above(! ), we thank you for your support of AFA's Annual Fund, an integral part of our school's continued health! Despite a cancellation of school on Grandparents' Day and the delay of our Recitatio all due to a wind storm, the online Silent Auction raised even more than last year, totaling nearly $7,000! 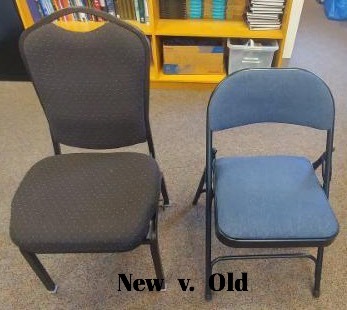 AFA will purchase a classroom communication system for the Lower School and new student chairs for the Upper School from the proceeds! Thank you for your continued prayers as Committee members diligently search for our future campus. Your donations to the Annual Fund exceeded our expectations, enabling the Board to set aside $10,000 as "seed money" for the procurement of land. 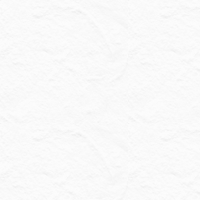 Since then, we have received an additional $12,000! We are so grateful for your step of faith as we continue to seek God's will for our future land and facilities. Please contact Dean Luckenbaugh via email or call 571.271.5660 to help develop and build our new campus. Thank you! In this issue, it has been a delight to highlight the generosity of so many in our midst! We are truly blessed to have such a supportive and giving community. Next month's Fountain will highlight some of our volunteers and the Seniors at Ad Fontes. But we couldn't wait another month to share with you about AFA Senior Rachel Smith who received a fully paid tuition scholarship to Union University for over $120,000! Congratulations, Rachel! If you have any questions about The Fountain, please contact Nanmarie Hockstra.